I've reached a point in my WIP where I have to kill off one of my antagonist's minions in a grizzly way and was curious what tips other writers had for creating a gross out scene. Then I thought: Hey! I should blog about this. That's how this post began, but it's turned into more of an article on how to write a horror story that will terrify readers—at least, that's the hope! 1. The beating undead heart of horror is the knowledge that bad things happen to good people. "It’s an existential thing, a tragic thing, and somewhere in every story this dark heart beats. You feel horror when John McClane sees he’s got to cross over a floor of broken glass in his bare feet. We feel the fear of Harry and Sally, a fear that they’re going to ruin what they have by getting too close or by not getting too close [...]"
Once readers identify with a character that character becomes a bit like their child. Readers want the best for the character while realizing that the best rarely happens. It's this tension between what we want for a character and what could happen to that character that fuels the engine of your story and drags your readers through the gory bits toward the end. 2. Your protagonist must make mistakes. Big ones. Mistakes that put their life, as well as their sanity, in jeopardy. CW writes that "[...] tragedy is born through character flaws, through bad choices, through grave missteps." Characters need to make bad decisions. I'm not talking about refusing to eat the goodness that is brussel sprouts, I'm talking about (as in the first Scream movie) running outside to escape the psycho terror inside only to be strung up and gutted by the psycho terror outside. Like Lennard in The Electric Can Opener Fluctuation, your character shouldn't be able to catch a break. "We recoil at mistakes made by loved ones, and this is doubly true when these mistakes put their lives, souls and sanities in danger." Step one: Make the reader care about, identify with, your character. Step two: Put your character in danger BUT don't have this danger thrust on them. Have the danger descend on your protagonist because of a choice they made. Step three: Have the decision that puts your character in danger be either selfless or smart (or at least not blindingly stupid). We've all seen this: An attractive blond teenager hears an ominous noise outside the house. Moments later the lights stop working. Does our heroine run into the bathroom and lock the door? No. She calls out "Is anyone out there?" and in so doing alerts potential bad guys and gals to her location. But that's not all. She leaves the relative safety of the house to, all alone, go and see what made the mysterious noise. And (of course) she gets slaughtered. I don't know anyone who would act like this. I wouldn't! If I heard mysterious sounds outside the house and then the power went out, I'd call 911, grab a baseball bat, and lock myself in the bathroom. That said, yes, your victim should decide to go out and face the danger, but give them a credible reason. For instance, perhaps the protagonist let her dog out into the backyard and she's worried it's hurt. That's a valid—and altruistic—reason to face potential danger. It's something most people can relate to. 3. Horror: the oldest story. Horror stories have been around as long as humans. For instance, take a look at 10 Creepy Urban Legends From Around The World over at Listverse.com. "You want to see the simplest heart of horror, you could do worse than by dissecting ghost stories and urban legends: two types of tale we tell even as young deviants and miscreants. They contain many of the elements that make horror what it is: subversion, admonition, fear of the unknown." 4. Write about what terrifies you. For example, trap the character in a cellar, a church, an abandoned hospital, an underground parking garage, an island, and so on. Ask yourself, What kind of a confined space scares you? Were you trapped somewhere as a child, unable to free yourself, forced to wait and hope someone would come and rescue you? The character restricts their own movement. Think werewolves. Perhaps the character senses they're changing and they don't want the thing they are becoming to harm anyone, so they lock themselves up. In the TV show The Vampire Diaries, Tyler was chained up in a vault underground. The unknown, the dark. A dark staircase or stairwell. A character is trying to flee then becomes stuck. Perhaps their leg is caught in a trap. Twist the normal. Not everyone can be menaced by a tiki god in Hawaii but everyone has heard a strange, ominous, groan in the middle of the night and felt the hair at the back of their neck stand on end. Horror often plays off of the taboo and off of suppressed emotions. People can either be confused or scared. Not both. In Pet Sematary Stephen King used a cat spitting and jumping into the camera to scare the pants off everyone in the audience. I know, I was there. Some think this is a cheap trick, and perhaps it is, but it was also very fun. My friends rib me about my reaction to that scene till this day. 5. What are your fears? "The more we know the less frightening it becomes. Lovecraft is like a really advanced version of this. Our sanity is the firelight, and beyond it lurks not sabretooth tigers but a whole giant squirming seething pantheon of madness whose very existence is too much for mortal man’s mind to parse." 6. What makes you anxious? Getting sick, alone. No one finding you. Being assaulted, robbed, etc. Dark parking lots, alleys, etc. For a list of squick go here but be warned: once these images are in your mind you can't get them out! I know. That's it for today. I'll finish my list of 17 ways to write a terrifyingly good horror story tomorrow. Stay tuned! 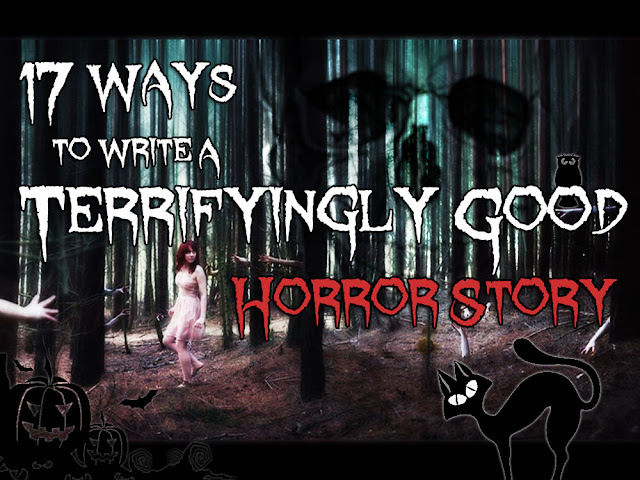 Update: Here's a link to the second part of this two part series on how to write a terrifyingly good horror story. "In On Writing Horror, Second Edition, Stephen King, Joyce Carol Oates, Harlan Ellison, David Morrell, Jack Ketchum, and many others tell you everything you need to know to successfully write and publish horror novels and short stories." Winner of the 2009 Bram Stoker Award® for Superior Achievement in Non-Fiction. Winner of the 2009 Black Quill Award for Best Dark Genre Book of Non-Fiction - Editors' Choice. "Writers Workshop of Horror focuses solely on honing the craft of writing. 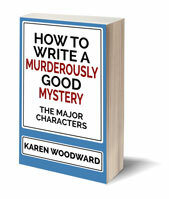 It includes solid advice, from professionals of every publishing level, on how to improve one's writing skills. The volume, edited by Michael Knost, includes contributions by a dream-team of nationally known authors and storytellers, many Bram Stoker Award® winners." "By applying the foundation of the Three-Act Story Structure and then delving even deeper into the psychology of realistic and dynamic human change, Weiland offers a beat-by-beat checklist of character arc guidelines that flexes to fit any type of story." Join my writing community! Every month I'll send you writing tips and advice. 1. (NSFW) 25 Things Your Should Know About Writing Horror, by Chuck Wendig over at Terribleminds.com. 2. The thread, What makes a good horror movie, over at AbsoluteWrite.com. 3. How to Make Your Horror Screenplay More Effective, by V Renée. - I didn't use this article when I wrote the above, but I did come across it while I was doing my research: The 5 C’s of Writing a Great Thriller Novel, by James Scott Bell over at WritersDigest.com. Photo credit: untitled by Nathan O'Nions under Creative Commons Attribution 2.0. This is the first post I've read from your blog, and I can tell you that you have a new follower. Your advice is thorough and helpful, and while I find myself in disagreement with a couple of points, I am grateful that your blog has found its way into my monkeysphere. 1) "Step two: Put your character in danger BUT don't have this danger thrust on them. Have the danger descend on your protagonist because of a choice they made." Did you ever see the film "The Babadook"? (It's on Netflix!) For the majority of the film, I found it more stressful than scary, but the encounters with the Babadook were actually fairly frightening. The monster, in a sense, forces itself onto the characters. I do not think there was a way for them to avoid an encounter with it. 2) "7. What revolts you?" I hope what I said makes sense, and if you don't mind, I'd like to make a link to this post in my own blog, because I find it very helpful for novices like myself. Wow! Love your feedback, lots of food for thought. (In fact, I forgot to post your comment because I was busy mulling it over, lol) Normally, I would post a response right away, but I'd like to think about this for a bit, perhaps write a blog post around it. But, thanks! I appreciate the feedback. 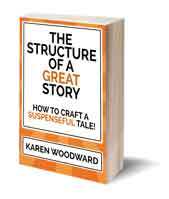 What makes a story a good story?